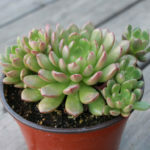 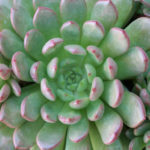 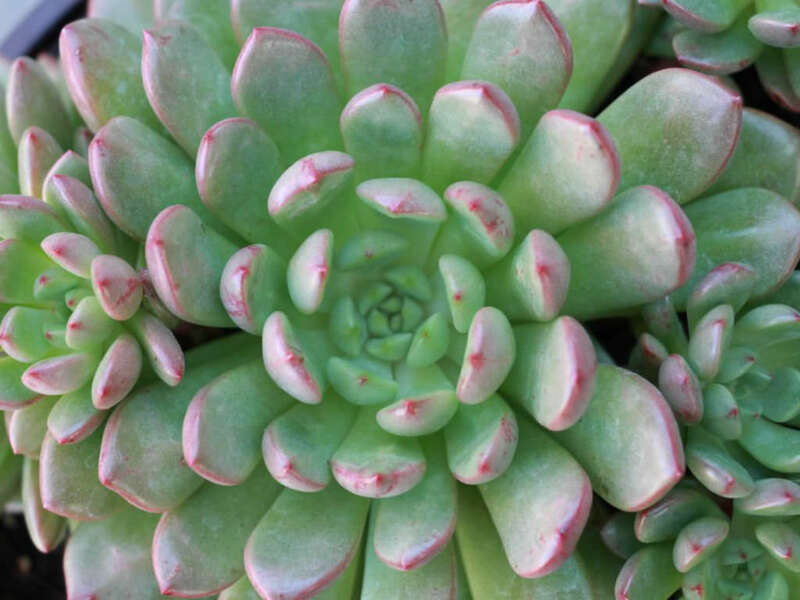 x Graptoveria ‘Bashful’ is a sun loving succulent with stemless, clump-forming rosettes up to 3 inches (7.5 cm) in diameter, of thick, chubby, minty green leaves. 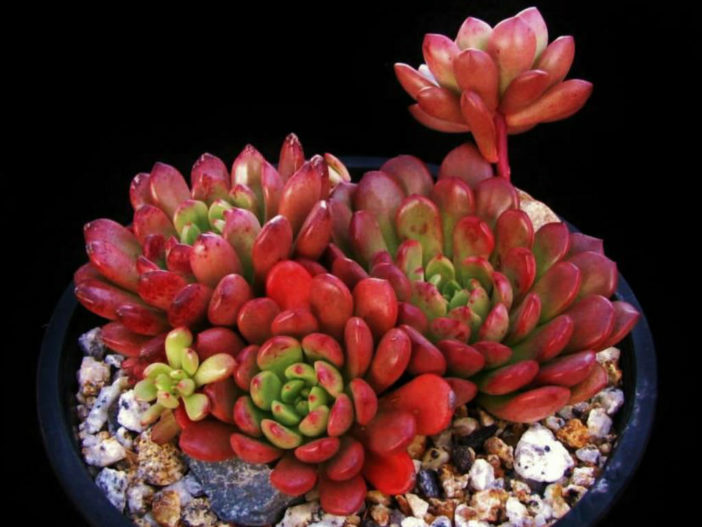 It turns a bright, translucent pink from direct sunlight and cool temperatures. 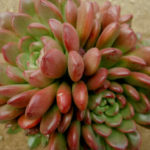 If grown in the shade, it will lose that coloration and fade to its original green. 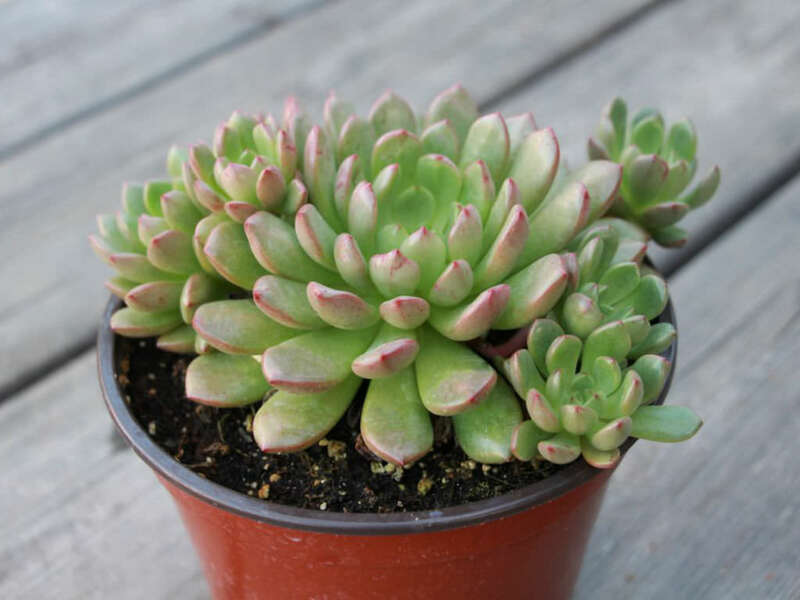 It sports pink flowers on long arching stems. 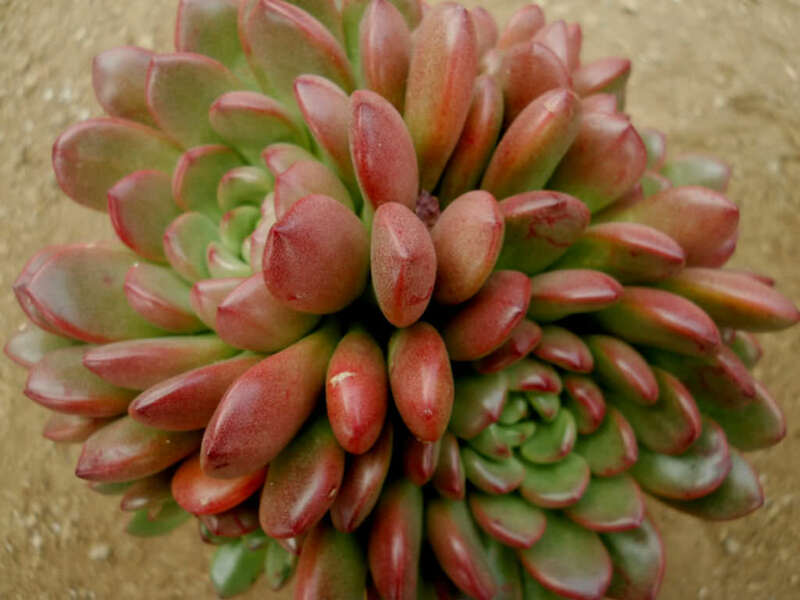 x Graptoveria ‘Bashful’ is a hybrid of unknown parentage.